Throughout the month of March, Flak Photo, in its WEEKEND series, is featuring photographs by Joni Sternbach from her monograph SurfLand. (Check out each weekend image: MARCH 6, 13, 20, & 27, 2010.) 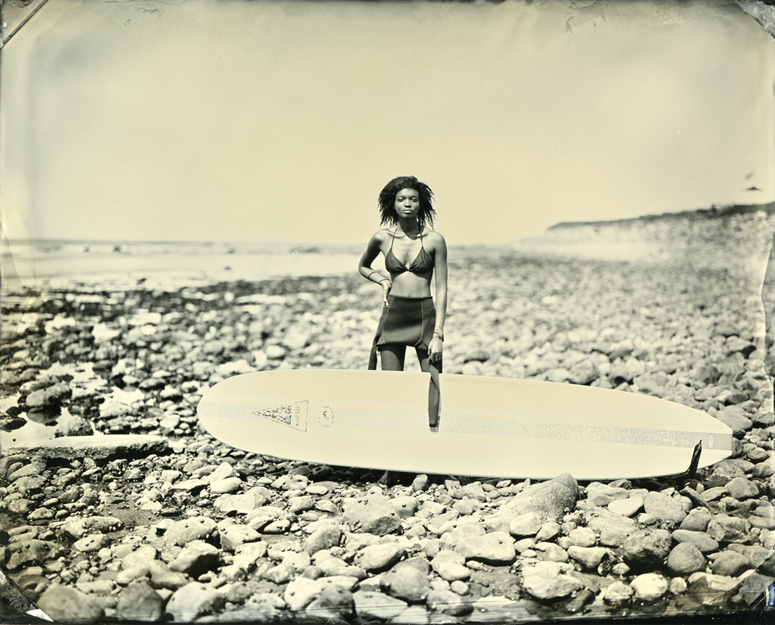 Joni embraces the difficulties of using a large format camera and the wet-plate collodion process in a windy and sandy ocean environment to create these one-of-a-kind stunning portraits of surfers. In the midst of AIPAD, I talked with Joni and asked her what impact being a Critical Mass winner has had on her as a photographer, her audience for this work, and about her connection to water and historical photographers. Larissa Leclair: In 2007 you were a Critical Mass winner along with Peter van Agtmael. What kind of impact did that award and the resulting monograph SurfLand, published by photolucida in 2009, have on you and your work? Joni Sternbach: Winning the Critical Mass book award had a huge impact on me, and really changed my life as a photographer. I think it grounded me in the world of photography and gave me a place that I didnâ€™t have prior to it. Also, having the book showcased my work and gave it more visibility, which I believe opened the door to the solo show at the Peabody Essex Museum in Salem, Mass. Books are circulated in a completely different kind of way than artwork is in a gallery or on a website, or in any of the other ways photographs travel around the web these days. The book is a tangible object and the work is interpreted through that format. I think books are a beautiful medium. They lend a certain narrative to the work that my individual plates might not convey. Not only did the book add to my marketability as an artist, it gave me a forum for my work that it didnâ€™t have before. LL: The exhibition “SurfLand” at the Peabody Essex Museum in 2009 launched a regular schedule of photography exhibitions at the museum. Phillip Prodger is the first curator of photography at PEM and also the essayist for your book. How did you come to know Phillip and how did this harbinger exhibition come about? What an honor! JS: I first got to know Phillip Prodger when he was Assistant Curator of Photography at the St. Louis Art Museum. I sent him a showÂ announcement and he liked the work and wanted to consider it for an exhibition he was curating on landscape photography. This led to a period of communications that spanned many years. He later left the museum, curated independently, but his successor ended up using my work in that landscape show. When Phillip went to the Peabody Essex Museum, we connected again and I brought him some of my surfer tintypes. Seeing the actual plates was the decisive moment in his suggestion to propose a solo show. By this time, I had won the photolucida book prize and because I admired his work I had already asked him to write the essay. So it all came together in this very perfect way. The book then acted as a catalog to the exhibition even though it was not produced for that specifically. LL: I would imagine that your audience for tintype photographs would be completely different than the audience for photographs of surfers. This work has appeared on the cover of PDN in the context of historical techniques (October 2009) and also in surfing magazines. I’m not sure what my question is… I find the juxtaposition of these audiences interesting. The broad audience that this work resonates with is great. I wonder if you have any stories related to this audience mixing. JS: Although they do seem like disparate audiences, strangely enough, I think these two groups connect. 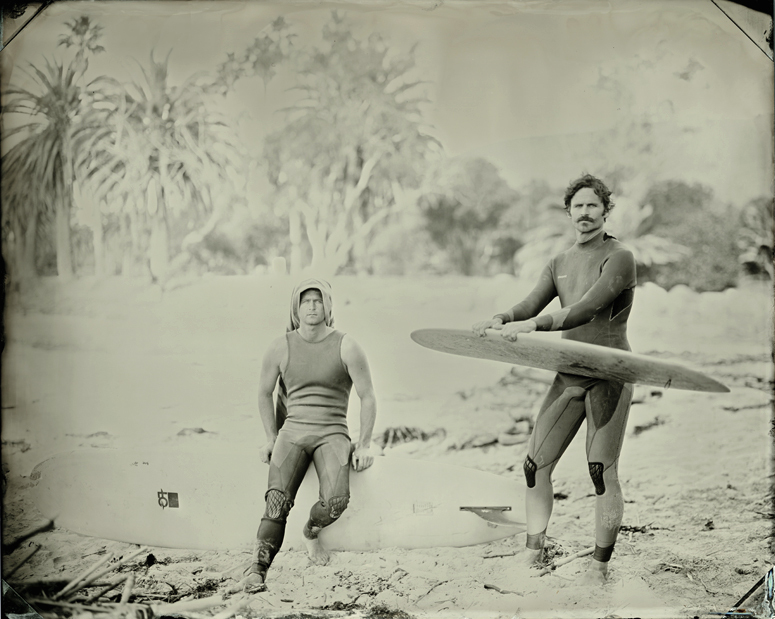 On one hand there are the people interested in 19th century photography who collect tintypes and daguerreotypes, and then there are the surfers. Photographing on the beach is a performance of sorts and many people are drawn to the large format wooden camera and then to the photographs as I am making them on location. Being able to see the finished product right there on the beach is central to my project. The reason these two groups mix is because many surfers are photographers and some are artists or they are involved in creative fields. One surfer that I met on the beach and photographed, was also a designer. A few years later he opened up a hotel in Montauk called Surf Lodge, and he wanted all varieties of surf photography for decoration. He bought 4 of my photographs, depicting some of the local people in Montauk who are well-known as surfers and who also have a reputation in the art world. 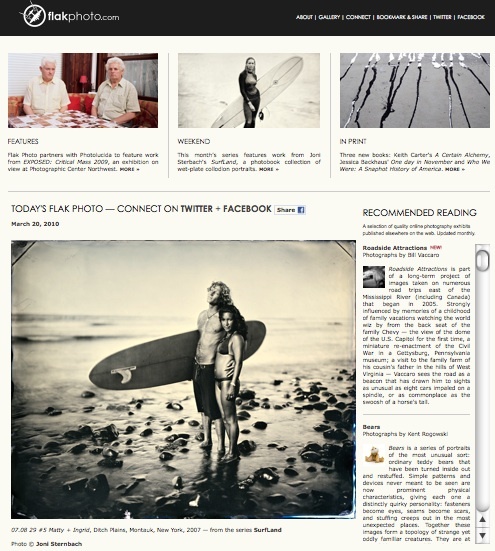 So there is this mix between the art world and surfing. LL: Do you continue to add to the “Surfers” body of work or is it a finished project? JS: I am still working on it. I was just in California for two weeks in February continuing the project. There is a certain magic that gets generated by being out there on the beach and making these pictures â€“ connecting with people in a very random way. Often times I just go to a beach where I donâ€™t know anybody, introduce myself, and take pictures of people who happen to be surfing there. Other times I have a planned meeting with one person or a group of people. Sometimes, they are complete strangers. What I want to convey to you is this incredible encounter that happens when I meet these people and make pictures on the beach that transcends photography. Itâ€™s about chance and itâ€™s about spontaneity. Itâ€™s not about control, but rather letting go of it. Itâ€™s about intuition and allowing the interaction to develop solely because you are in a certain place at a certain time. That is something that I love. I am working on other projects as well now but I donâ€™t feel like I have finished with this project. LL: Everyone asks you this question, “Why tintype?” I’m going to you ask you a bit differently. I’m wondering if you are interested just as much in the process and ritual and the physical art of making the tintype as in the final feel and quality of the finished photograph. Does it connect you personally with certain historical photographers and methods of the past? JS: Itâ€™s true, I get asked this question all the time. One of the things I am trying to do, is to use the medium of collodion (tintype, ambrotrype, negative) as a valid contemporary tool. I relate to it as a choice in photographic medium the same way that large format represents a valid choice over 35mm or even film versus digital. To me it is yet another tool in the history of photography that people are paying more attention to now because photography has taken a digital turn. Making hand-made objects is a way for me to be self-reliant from the marketplace and is a really satisfying photographic process. My tintypes are one-of-kind and made in-camera. So that is one of the reasons. As Iâ€™ve described, the act of making the photograph on location is something that involves my subjects as well as myself. So when I am out there taking the picture and processing it and then fixing it in daylight, my subjects are watching as I am doing this and they are just as excited and thrilled by the result as I am. And that engages them and it also encourages other people to participate in the project. It is live performance: I am making art in public. It involves camera work, chemicals, and people. 19th century photography has had a huge influence on me, though in the “SurfLand” series, I am using a 20th century camera and 20th century lens. I have opted out of using antique brass lenses without a shutter. I am not trying to recreate a 19th century aesthetic. But I am interested in the way 19th century aesthetics inform photography and inform my work. LL: I have recently been researching Muybridge for the major retrospective at the Corcoran and I keep thinking of Muybridge when I look at “The Salt Effect” and “Abandoned.” He photographed the expansion of the railroad in Utah, an example of progress that in the modern day has effected the landscape there. And in “Abandoned” you are photographing the antithesis of “new-world progress.” Can you talk about these two bodies of work in relation to history? JS: Itâ€™s really interesting that you mention Muybridge whose work has been very influential. In a previous body of work, not on my website, is the series â€œUntitled Silhouettesâ€� from the early 90â€™s. It is a group of silhouette portraits of women modeled after Muybridgeâ€™s study of the human figure in motion. The prints are made in platinum-palladium from Polaroid negatives in two sections that are pieced together. I was completely interested in the way Muybridge used the figure in scientific study. His models are naked and the women are holding objects associated with domesticity while the men are holding things related to masculinity or sports. I made this entire body of work in dialogue with Muybridge, so it is interesting that you mention him. 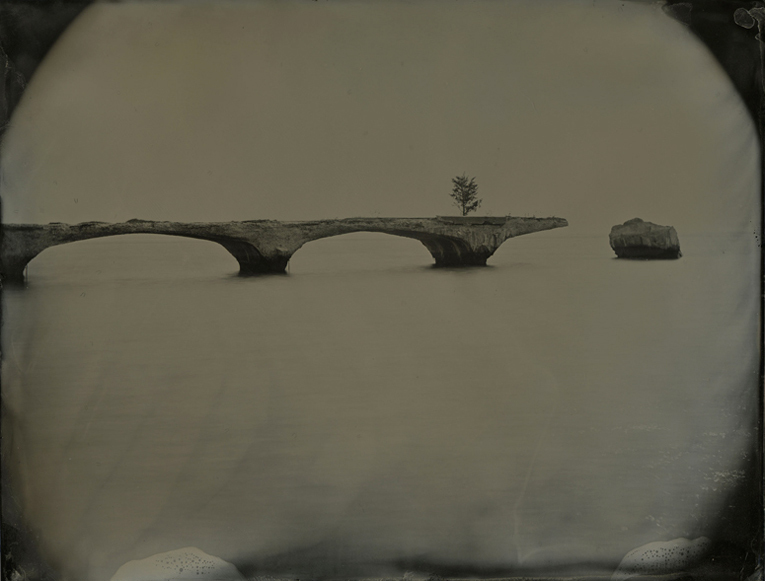 The series â€œAbandonedâ€� was my first body of work using collodion. My foremost concern was scouting locations close to or directly on the water, searching for the mystery of an abandoned past. Structures and places that have lost their functionality are now emblematic of a more primitive time. They represent the last stand, the human effort most poignantly seen through decay and the return to nature. So I like your phrase â€œthe anti-thesis of new world progress.â€� Westward expansion and the birth of photography happened simultaneously. As an Easterner I did not have the same physical connection to the west as people who live there. Going to Utah was my first Western landscape experience. I didnâ€™t believe the literature that said this was not the â€œromantic west.â€� They even warned me the weather was on steroids. When I got there, it was cold. It was windy and it was really difficult to make pictures in those conditions. I had brought along film as well, so I did a combination of wet-plate and film shooting that was an investigation into understanding the implications and effect of salt on the environment. What I didnâ€™t know when I got to Utah was that I was going to be surrounded by an invisible body of water, with all the salt beds there, so it was the opposite of where I had been photographing along the coast line. 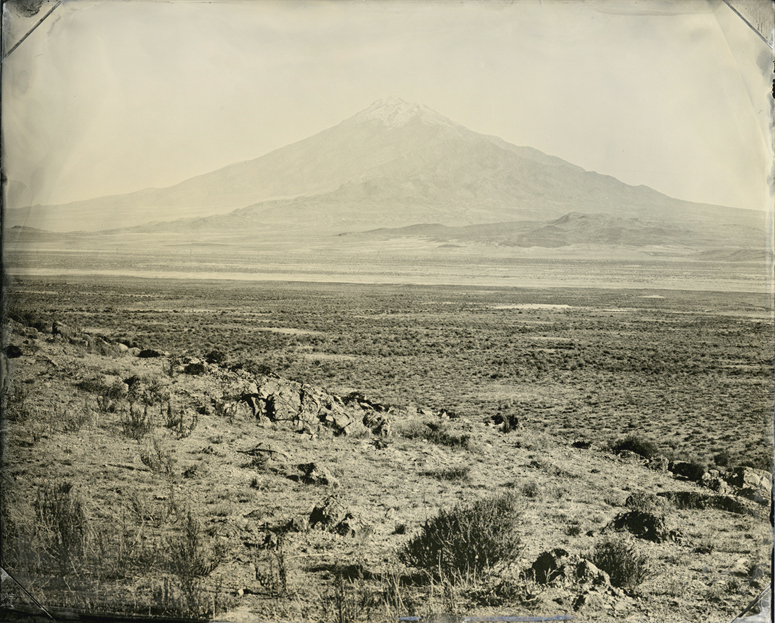 Of course there are contemporary artists, such as Mark Ruwedelâ€™s Westward the Course of Empire and Mark Klett, who have this connection and who have been working on the West for years. But for me, it was all completely new. 05.10.07 #1A. 6.5" x 8.5" ambrotype. 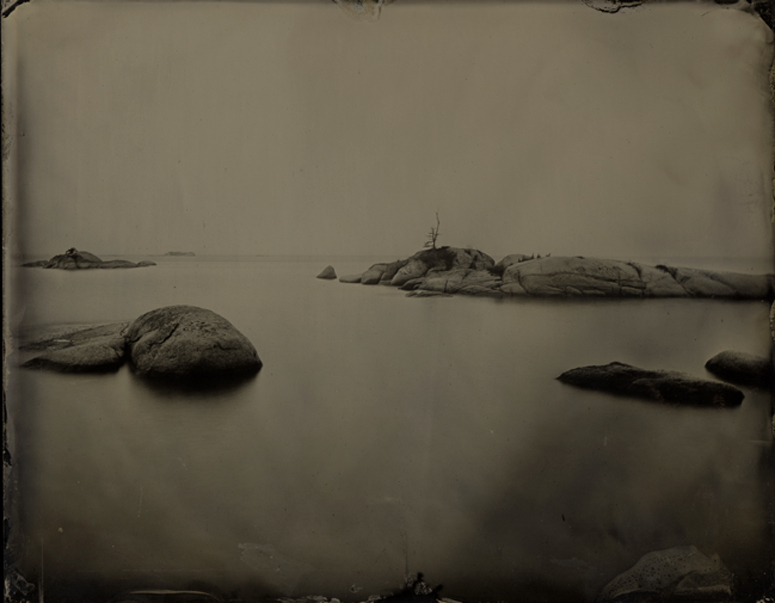 Deer Isle Â©Joni Sternbach, from "Abandoned"
LL: With the longer exposure time for the wet-plate process, water is captured as a magical surface, an element in your photographs that I absolutely love. You focus on it in “Ocean” and “Sea/Sky;” it grounds your surfers; takes on its own life in “Abandoned;” and then is referenced in “The Salt Effect.” What is your connection to water? JS: There is an intuitive pull for me. I grew up around the ocean, and had the ocean as a destination. I spent time as a kid with my grandmother in places like Rockaway and Long Beach. That is my early connection. It is a place I feel I must be close to. I love to swim in the ocean. I feel it is a primal source. I love its cyclical nature and its timelessness. The beach is a place where we can exist in some other time frame and for me, it is a complete escape from the â€œdressed-upâ€� lifestyle required in the city or at work. I do think that photographing water allows us to think about time and time passing. The photographs capture time or slow it down, giving the water a quality thatâ€™s hard to imagine without the medium of photography. Learn more about Joni Sternbach on her website. 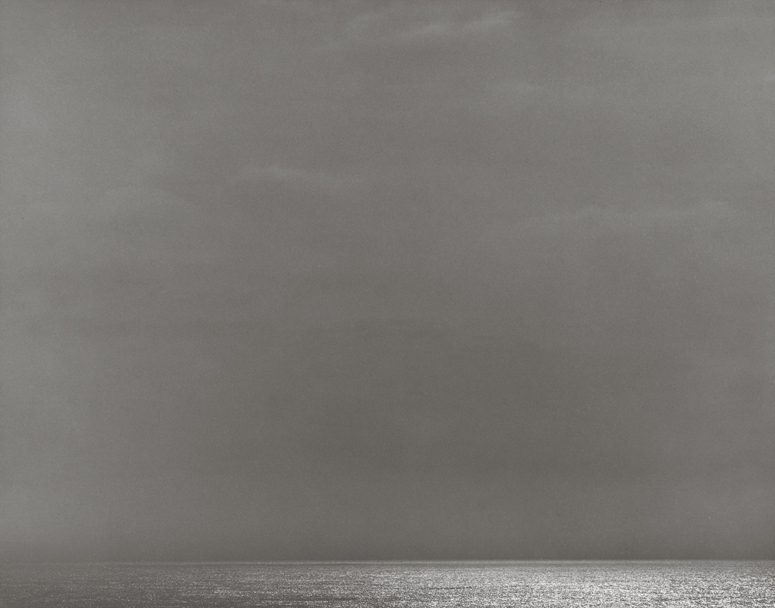 Joni Sternbach is represented by Joseph Bellows Gallery, Edward Cella Art + Architecture, and Kenise Barnes Fine Art. 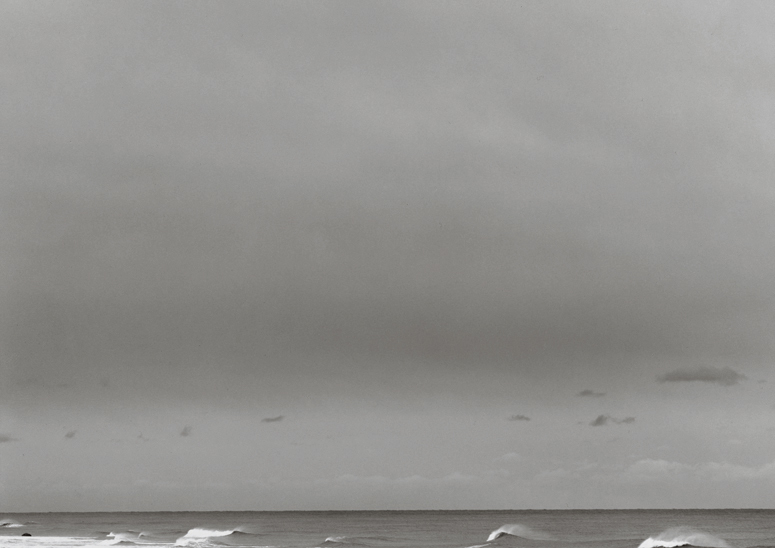 Her monograph Surfland, published by photolucida in 2009, can be purchased here. You are currently reading Interview: Joni Sternbach at Larissa Leclair.